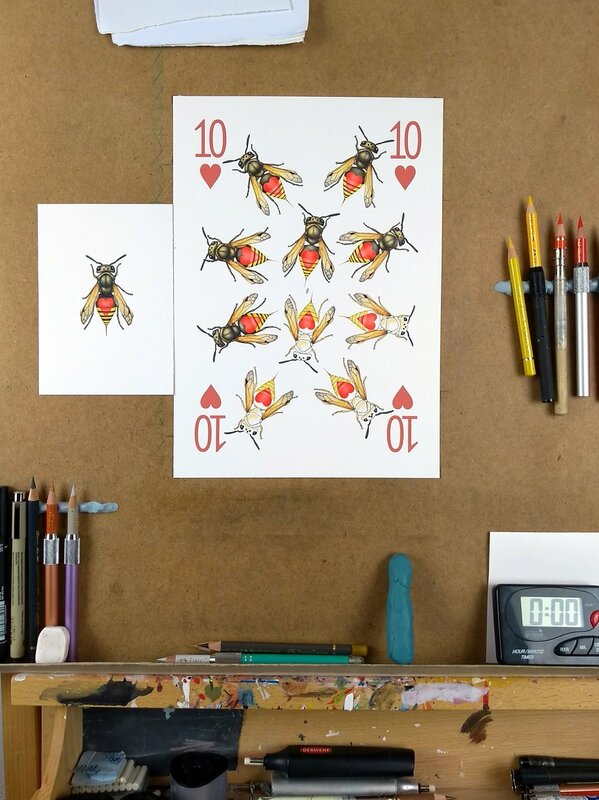 The Insecta deck is a vibrant poker deck, created from imagined new species in four taxonomic orders of insects. 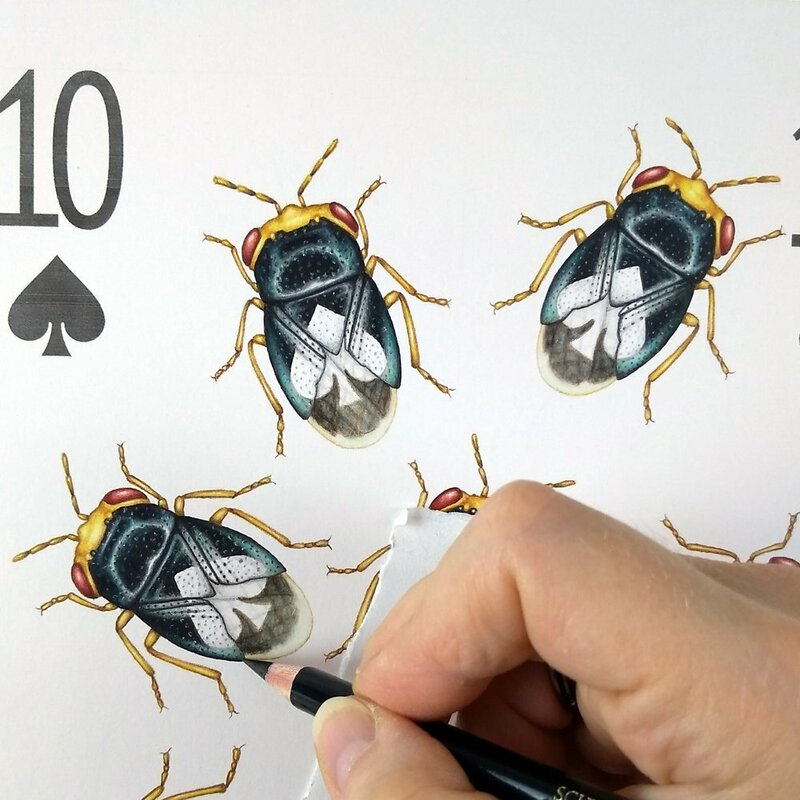 Rather than camouflaging themselves like the moths in my Cryptic Cards, these new insects have evolved to live colourful lives in symbiosis with players. By providing suit symbols in exchange for a safe habitat on card tables, the creatures of Insecta have formed a mutually beneficial partnership with humans. 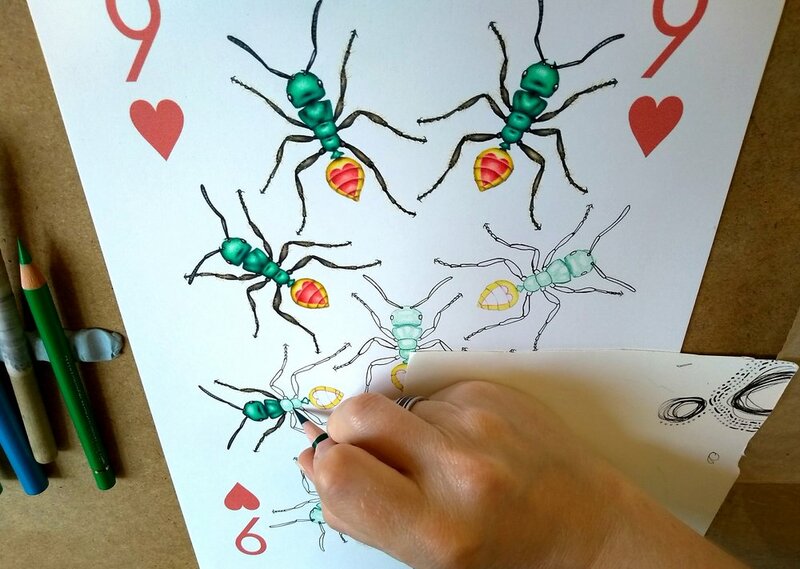 In this project, I’m drawing imaginary insects that have evolved alongside us, and stayed with us for a game of poker. 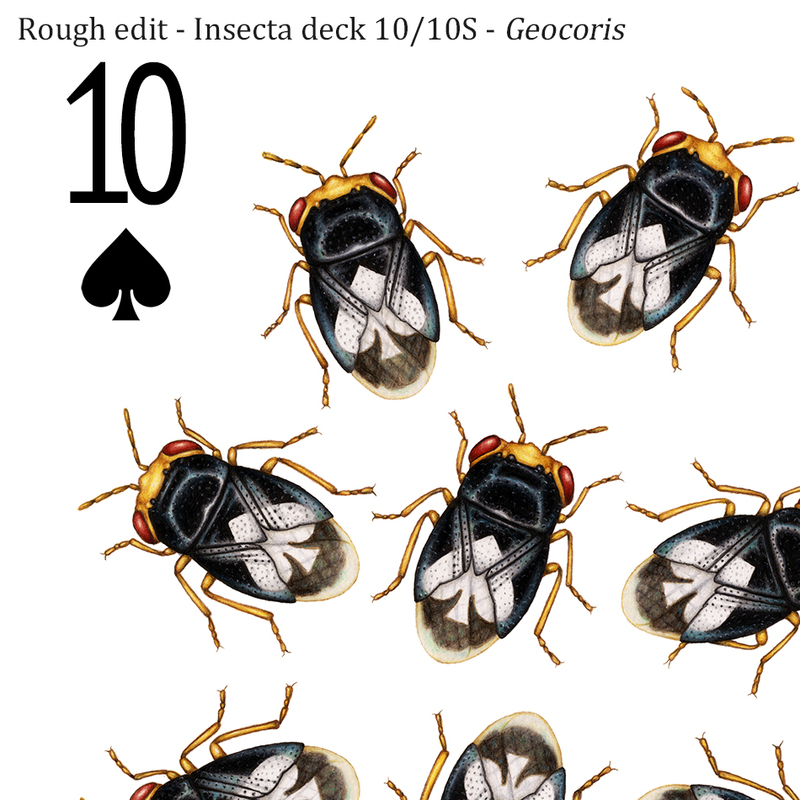 In addition to the deck, the Insecta project includes an artbook in the form of a field guide to deck-dwelling insect species, with a description for each one, and notes on it’s behaviour and interactions (with both card players and other insect species in the deck.) 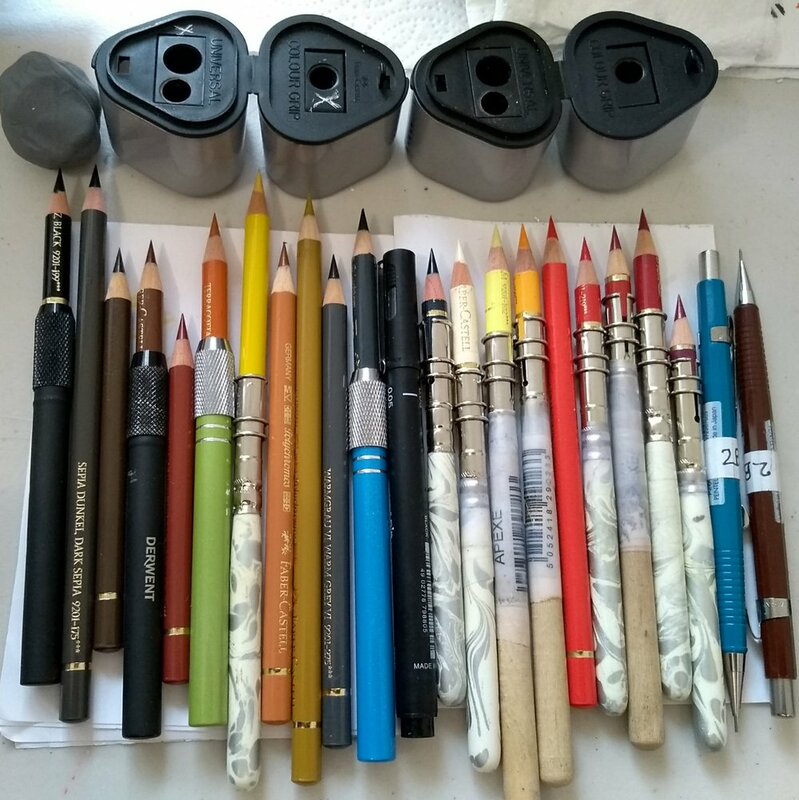 The preparation, drawing, & editing for Insecta has taken nearly 2000 hours, and the Kickstarter that is funding the printing can be found here. You can also get regular updates on progress on the deck and book printing via my Patreon. We love to think of biodiversity-rich environments like pristine forests, or remote valleys. But spend a few minutes in an urban park or disused lot, and you'll often find it full of life. From the quiet corners in your home, to abandoned buildings and sunken ships, humans create new ecological niches, even though we destroy far too many others. Nature is resourceful in filling them, so... What if our day-to-day spaces provide unexpected opportunities for new symbiotic relationships between us and other species? Humans are altering Earth’s environment, though processes like habitat destruction, climate change, and pollution. Because of this, many species are threatened with extinction - and despite their multitudinous variety, insects are not immune. While this should give us all more reason to fight for change in the way we, individually and collectively, treat the planet and its intricately connected ecosystems... We also need hope. We need to imagine ways to thrive alongside other species, without their destruction. Without hope, it's easy to become apathetic and give up trying to make change. So the Insecta deck is my expression of hope for the future, my imagining of how humans could share more space with insect life. 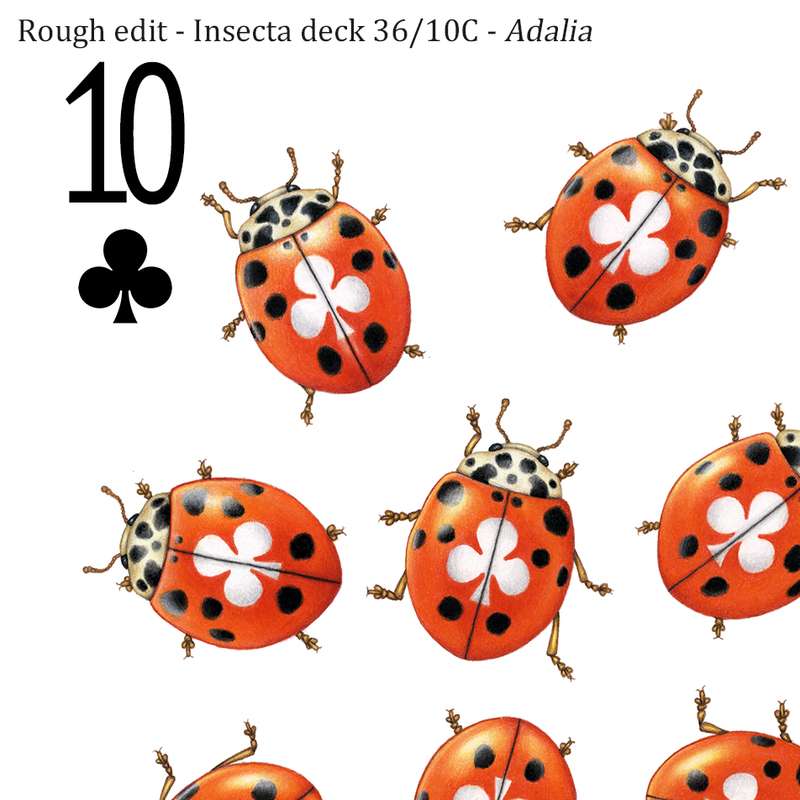 I hope you enjoy the artwork in the Insecta deck. And if it makes you wonder even a little about insects you come across in the niches you inhabit? That would be a great bonus. 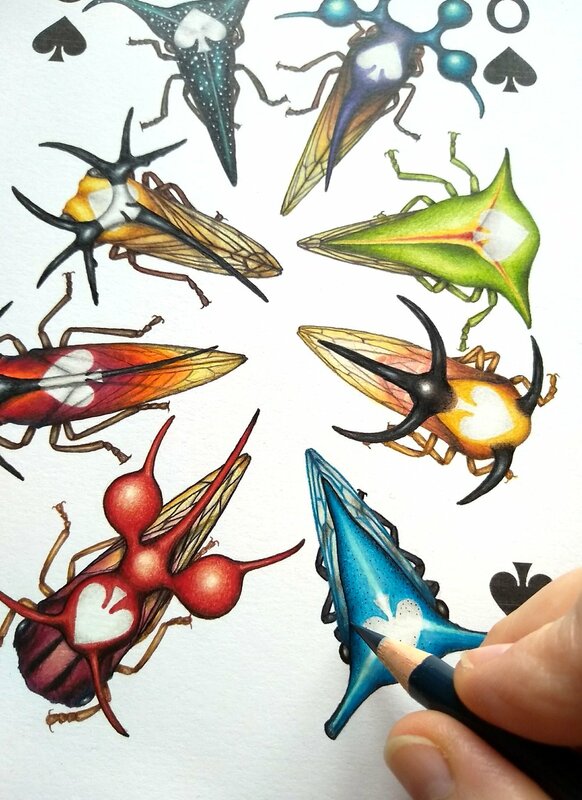 Below you can see images & time-lapse from the hundreds of hours that went into creating the Insecta deck artwork. 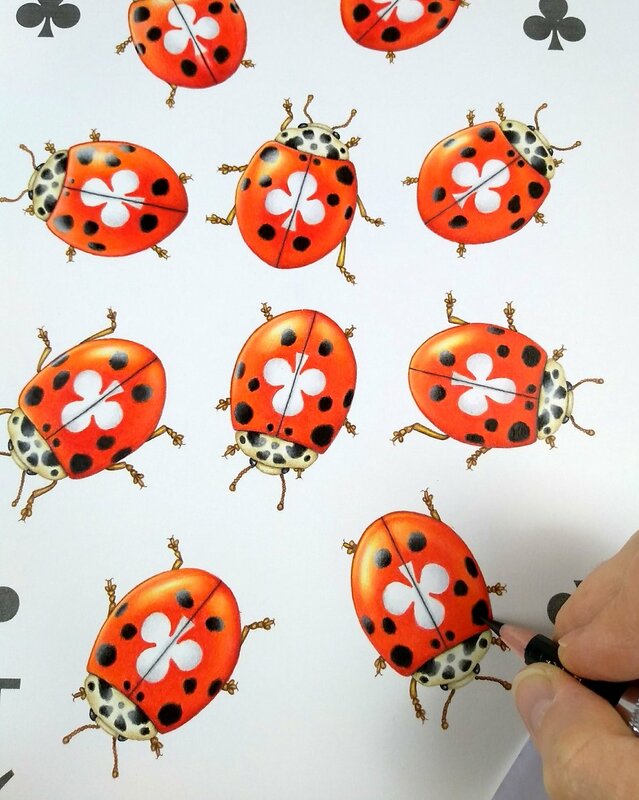 Each insect on every card was drawn individually - there’s no copypasting here! This deck has been a labor of love, and I can’t wait to get the final printed decks and ship them to my backers!